In 1997 the Ontario government announces the closure of the province’s largest francophone hospital. Montfort Hospital is a unique cog in the education of French-speaking health professionals. 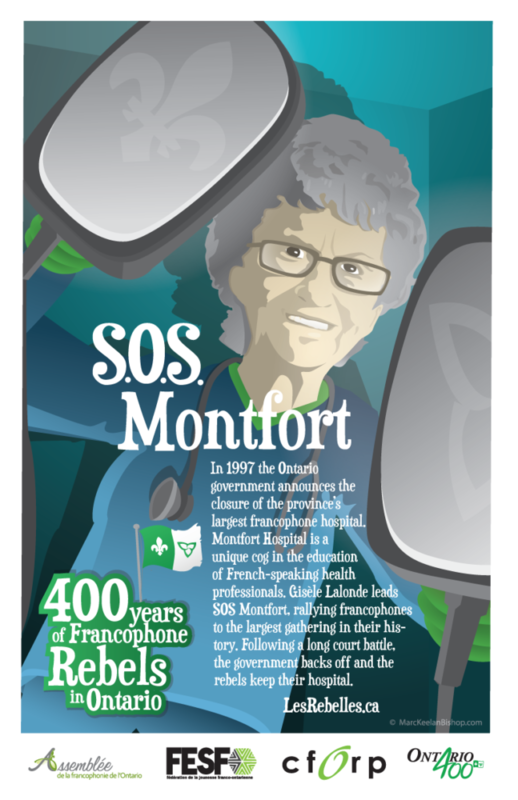 Gisèle Lalonde leads SOS Montfort, rallying francophones to the largest gathering in their history. Following a long court battle, the government backs off and the rebels keep their hospital.